Niels Van Roij's other recent projects include a shooting brake version of the Tesla Model S, a concept for a future London Taxi, and a tribute to the Ferarri 250 GTO SWB Breadvan. The Range Rover Adventum SUV Coupe is the latest project from the creative studio. If you thought the original, factory-built coupe was expensive – and it was, at over $300,000 – the aftermarket one is even more expensive, and by the time you supply a donor vehicle and build it to your specification, you could crest $500,000. A £50,000 deposit is required to start work. So what does your half a million dollars get you with Niels Van Roij? Well, the factory may have let you choose seat fabric and maybe some wood grain for the dash, with the aftermarket version you can really go all-out. Custom illuminated tread plates for the sills? Sure! Textiles? Whatever you want! The sky, your tastes, and your checkbook are the limit. "Anything is possible, from highly-polished woods, personalized tread plates, extraordinary one-off color-coded leather hides in chic patterns, to sophisticated handcrafted embroidery," said Niels van Roij. "Even tweeds and exotic materials not normally found in the realm of automotive design can be applied by our team of craftspeople." The van Roij version also tweaks the original SV Autobiography exterior design, eschewing some of the design traits of the fourth-generation Range Rover for a cleaner design. Gone are the "door vents;" the massive doors now are a clean, massive sheet of aluminum. The van Roij grille is a very smart looking waterfall item, though you can probably have whatever you want up front. Considering that the Range Rover has always been known for its iconic, clean design -- after all, the Range Rover Classic is still the only car ever featured in the Louvre -- van Roij has done an excellent job of retaining the classiness of the vehicle while making the 2-door distinctive. 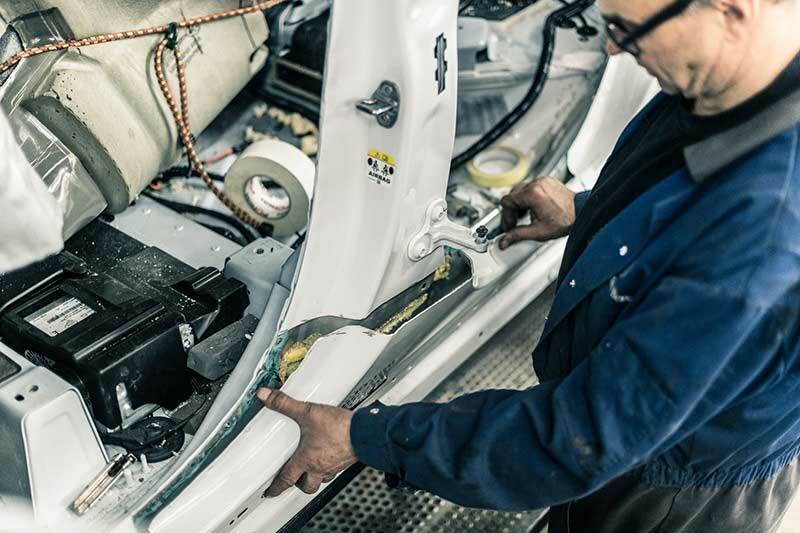 It's also ironic to see an outside coachbuilder removing two doors from the Range Rover, as in the 1970s and 1980s the Swiss firm Monteverdi did the opposite to create the first 4-door Range Rovers. Each Adventum Coupe takes six months to build, and since there's sure to be a good number claimed by disappointed clients of the stillborn SV Autobiography Coupe, it's best to send your £50,000 and your brand-new Rangie in as soon as possible to get a spot on the line.